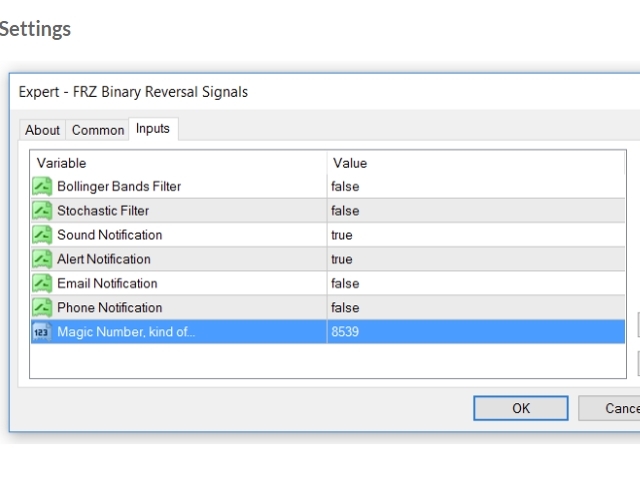 This is an MT4 expert advisor that is intended to be used as a confirmation signal generator for binary options trading strategies. The signals are never repainted and therefore you can see which ones were correct and which ones were not correct. 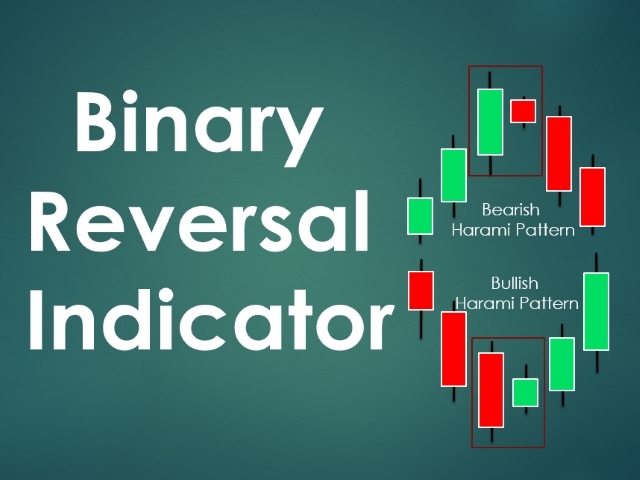 This EA primarily uses Harami Candlestick Chart Patterns, which are considered to be strong reversal signals. The signal is generated at the open of the following candle after a Harami pattern. Bollinger Bands filter: You can optionally enable Bollinger Bands filter. If enabled, the EA will filter out signals which are not near the upper (for sell signals) or lower (for buy signals) band of the Bollinger Bands indicator. Stochastic Oscillator filter: You can optionally enable this filter. If enabled, the EA will filter out signals which are not in oversold areas (for buy signals) or overbought areas (for sell signals). You may have one or both filters enabled. However, enabling filters will reduce the frequency of signals while increasing the accuracy of signals. In addition, this EA will not generate signals when there is a strong trend against, as measured based on a 10-period moving average. NB: You will also need to set up your MT4 to receive phone or email notifications.